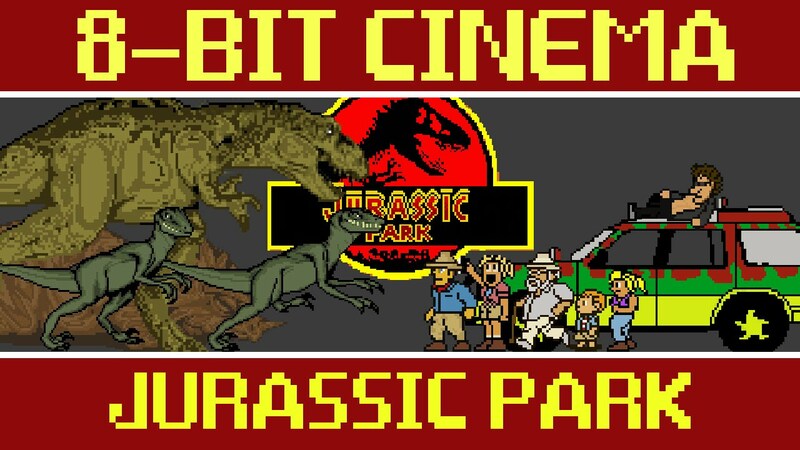 – Eight Bit Cinema presents… Jurassic Park. – Via Destructoid and some other sites, there is the “Fake Nintendo releases at E3” generator. My best results? Yarn Splatoon Party and The Legend of Zelda: Disgusted Appendix. – Ars Technica’s Kyle Orland has a fascinating article on the long, twisted path it took for Chip’s Challenge 2 to see the light of day, more than 15 years after it was completed. – Kotaku, via iRetroGamer.com, has video of a kid opening a SNES on launch day in August 1991. – A cool story about a guy buying some of the garbage from the infamous Atari 2600 cartridge and E.T. dump in New Mexico. – Exactly what it says on the tin: Watch Teens Fail Hard At Contra. – In 1983, Capcom was formally established. – The Legend of Dragoon, an RPG that was not Final Fantasy 7, came out for the Playstation in 2000. It is a somewhat mediocre game, with a MetaCritic score of 74, although it has its fans. – The Game Boy Advance came out in 2001. Although it was only out for three years before the DS came out, it still sold 81.51 million units.